The Ithaca 8000 has reached end of life. It has been replaced by the Ithaca 9000 . This product replaces the older Ithaca iTherm 280. 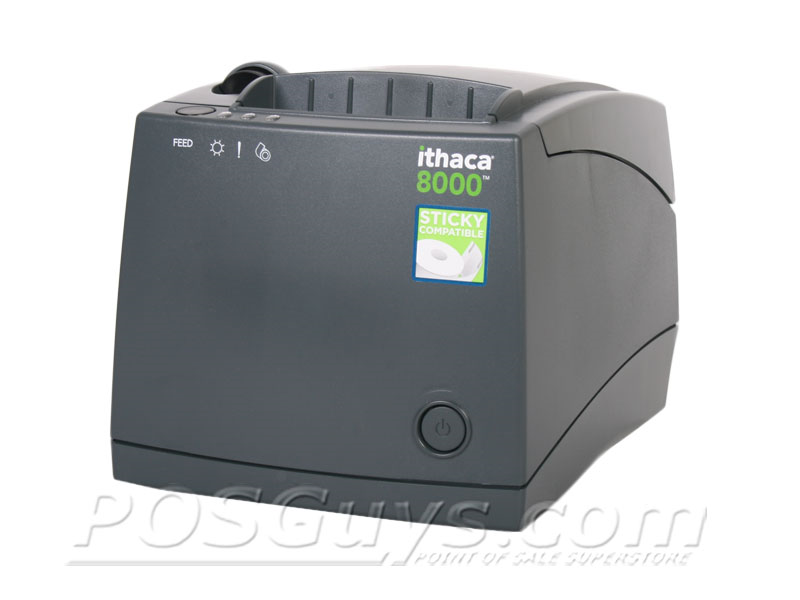 The Ithaca 8000 receipt printer allows you to print standard or adhesive receipts with one unit, saving space and giving you an excellent method for standing out among your competitors. 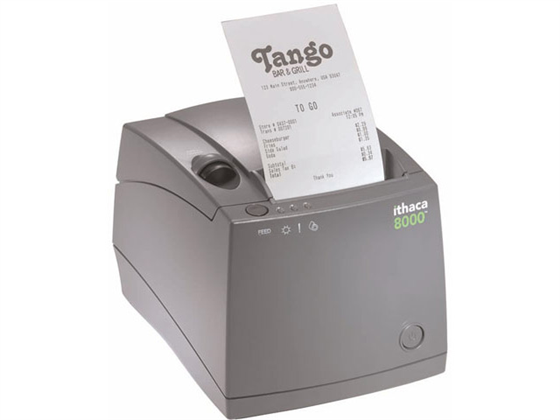 Ideal for take out, fast food, or coffee shops, the 8000's adhesive labels and receipts aid in minimizing order errors, letting employees verify orders easily. 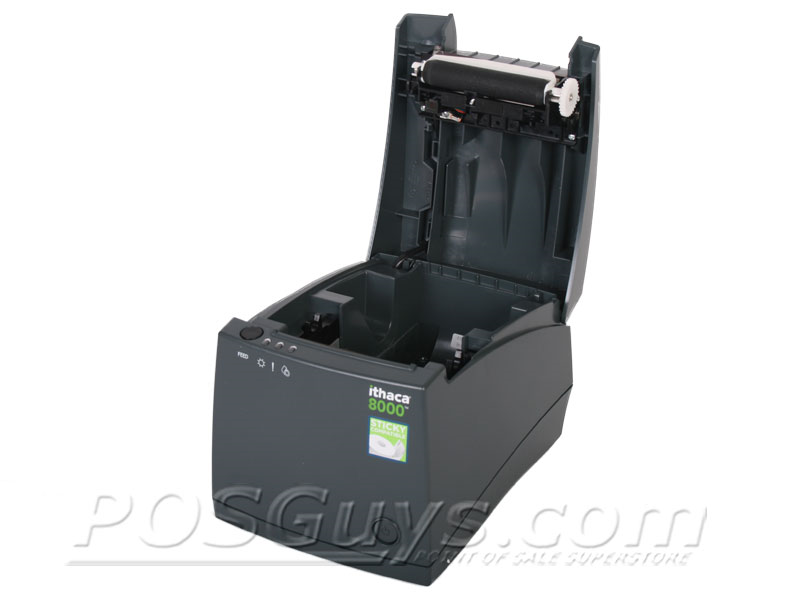 The 8000 prints receipts or labels at a snappy 6 inches per second, quick enough to keep lines moving smoothly. To minimize water damage, the 8000's circuitry is vertically mounted, preventing water spills from settling on components and causing damage. 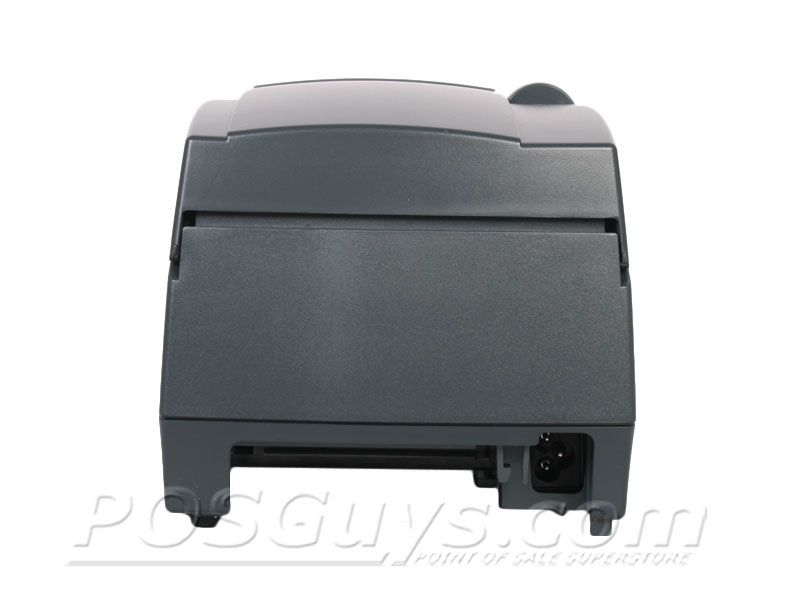 The direct thermal print head is rated to last for over 62 miles of receipts, making the Ithaca 8000 receipt printer a durable solution for any restaurant. Find it faster! 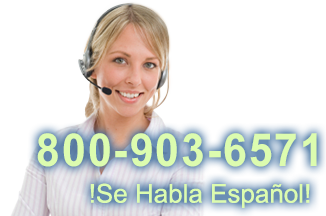 Click here to compare 8000 models by feature.